Mrs. Mazonia "Mae" Willis, 91 of Raleigh, passed away Saturday, March 30, 2019 at SECU Hospice House in Smithfield. The funeral service will be held at 2:00pm Tuesday, April 2, at Butler Funeral Home, 6535 Clinton Road, Stedman, with Reverend Joe Dabbs officiating. Burial will follow at Grandview Memorial Park, 2809 US 421 Highway, Clinton. She was born December 17, 1927 in Sampson County was preceded in death by her parents, Charlie Blake and Sophronia Carrie Tyndall Daniel; and her husband, James Paschal Willis. She retired from Clinton Sewing Company and worked as a Seamstress. 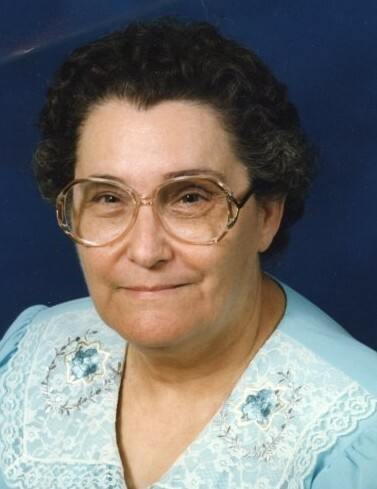 She is survived by three daughters, Carrie W. Barefoot (Lloyd) of Raleigh, Eveleen Register (David) of Wallace, Catherine Willis of Fayetteville; one son, Everett Willis of Wallace; two brothers, Charlie V. Daniel (Laverne) of Wallace, Dekton Daniel of Fayetteville; five grandchildren, eleven great grandchildren, and nine great-great grandchildren. The family will receive friends from 1:00-1:50pm prior to the funeral service. Butler Funeral Home of Stedman is serving the family.